His research aims for the heightened awareness of the senses, and is based on the distribution of weight and the forces of gravity. Benoît Lachambre works on the alignment and the imagination of each participant, who is encouraged to intensify and heighten the awareness of the senses through increased consciousness of the nature of movement in a specific context, a living environment. He invites us to a holistic experience of the body and its environment. Teaching gives Benoît Lachambre the opportunity to pass on his notions of somatics and to ensure a positive, individual appropriation of the different qualities that emerge for each individual, placing the participants in a context of creation. 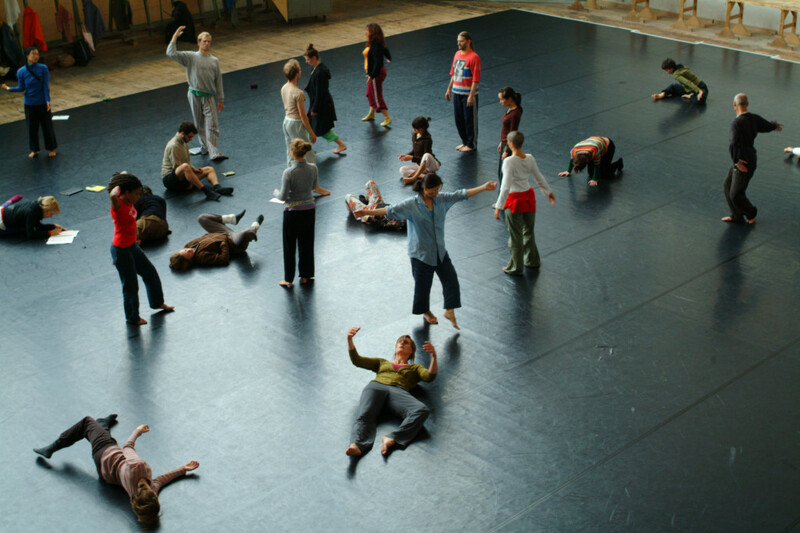 Benoît Lachambre has given more than 120 workshops within Par B.L.eux in 15 years, notably at Tanz Im August (Berlin, Germany), ImPulsTanz (Vienna, Austria), Circuit Est and Usine C (Montréal, Canada), P.A.R.T.S (Brussels, Belgium), SNDO (Amsterdam, the Netherlands), Charleroi Danses (Belgium) as well as l’Atelier de Paris – Carolyn Carlson (Paris, France), DansAlliansen (Stockhölm, Sweden), MODAFE (Seoul, South Korea), Cairo (Egypt), Seattle (WA, USA), Vancouver (BC, Canada). In April 2015, with the creation of the first ‘That choreographs us’, Benoît Lachambre added a new dimension to his teaching activity. With this intensive learning experience, he explores along with the students the different steps that make up the creative process, putting Somatics at the centre of a work they create together.